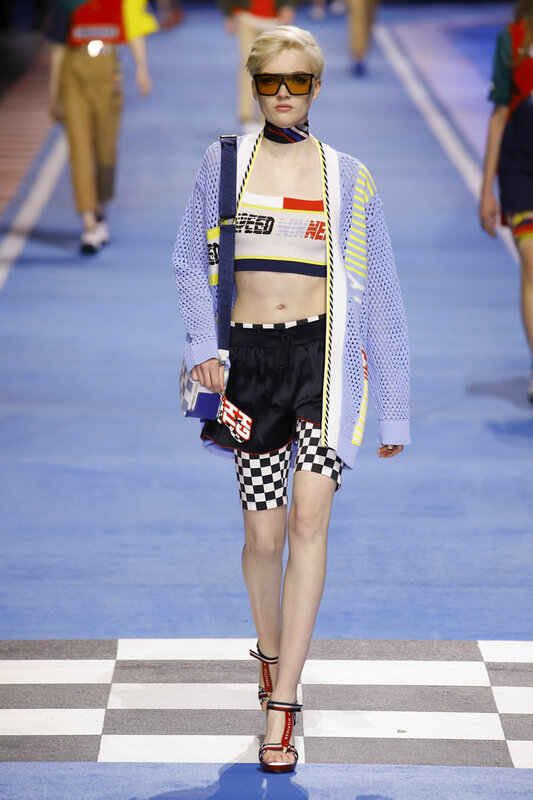 Tommy Hilfiger revamped the Milan Congressi with a racetrack set worthy of the “Fast and the Furious” franchise. 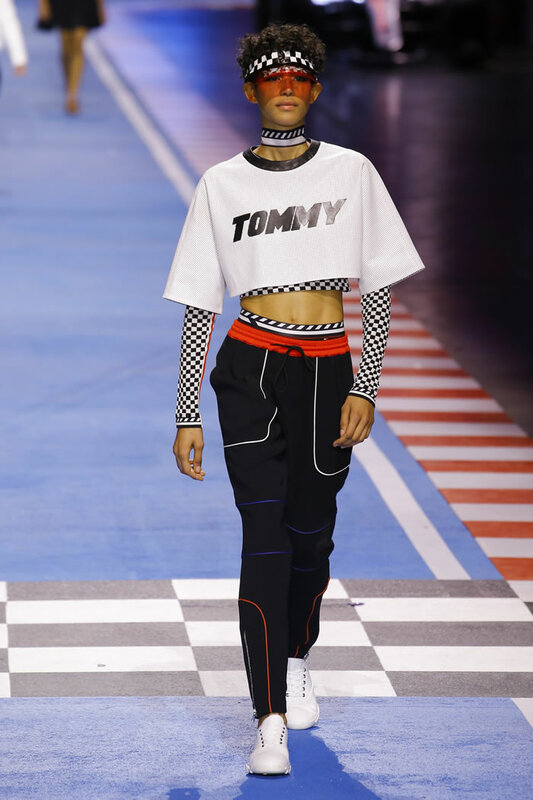 Tonight’s Tommy show in Milan was the fourth and last in Tommy Hilfiger and Gigi Hadid’s hugely successful see-now-buy-now project. The designer and his model collaborator have hit New York’s South Street Seaport, LA’s Venice boardwalk, and London’s Roundhouse stage. 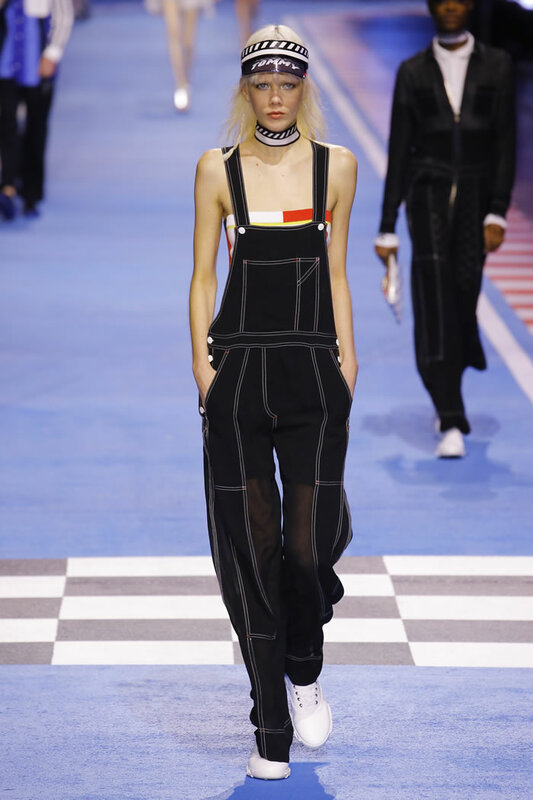 Themed around Formula One racing, the Milan pitstop felt the least connected to Hadid and her lifestyle. 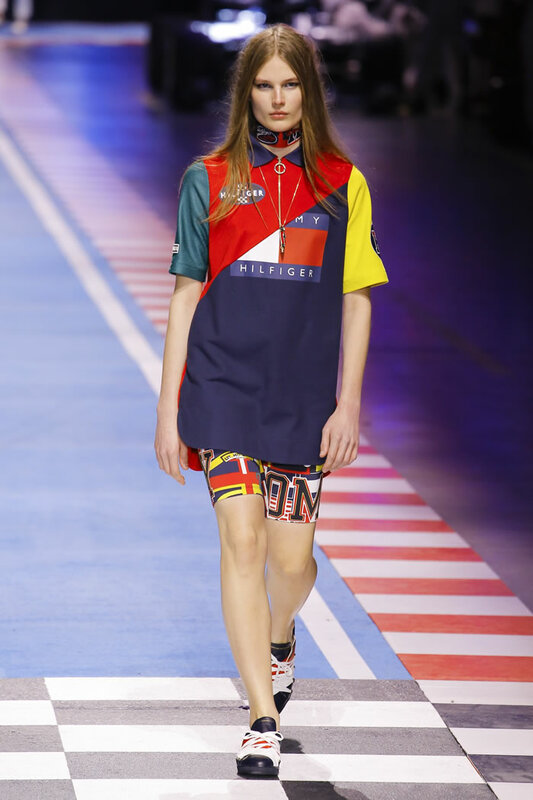 But as she walks away, Hilfiger has a new deal to tout. Earlier this month, he cemented a relationship with the four-time Formula One champs Mercedes-AMG Petronas Motorsport. Hadid has 38 million Instagram fans. The Formula One audience is nearly half a billion. 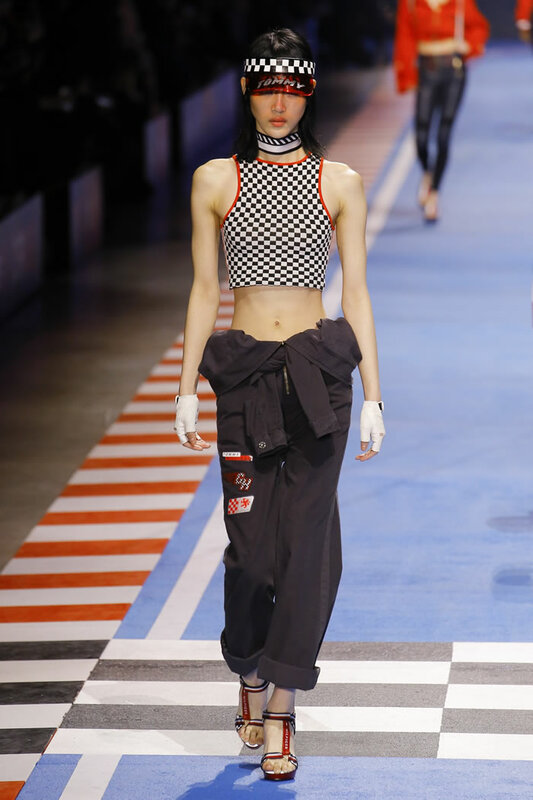 The collection modeled by Gigi and co. looked like a preview of what the Mercedes-AMG crew will wear on the racing circuit, with its bold palette of red, white, blue, and black, its piped leather pants, patch-covered jackets, and checkered flag prints. 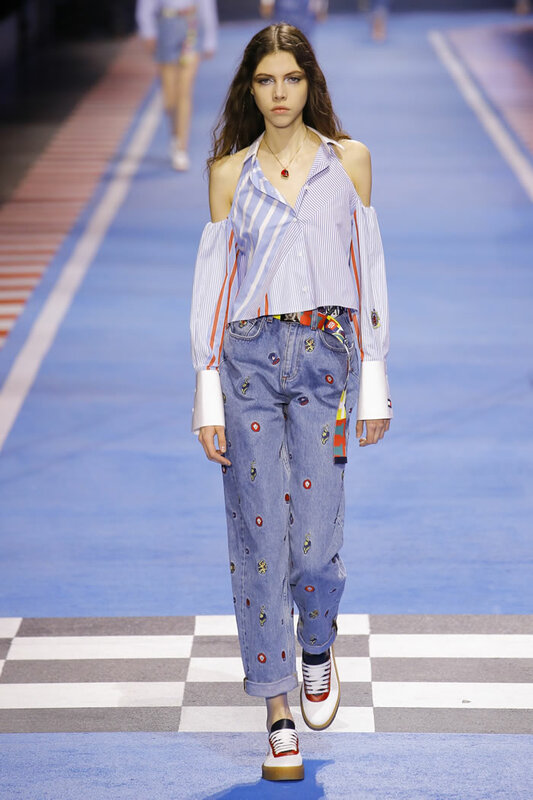 What provided its millennial zip were the half-shirts, cropped sweatshirts, and bikinis. A forty-something editor leaned over mid-show and whispered, “If I were a teenager I’d want this,” but it might’ve just been the abs talking. 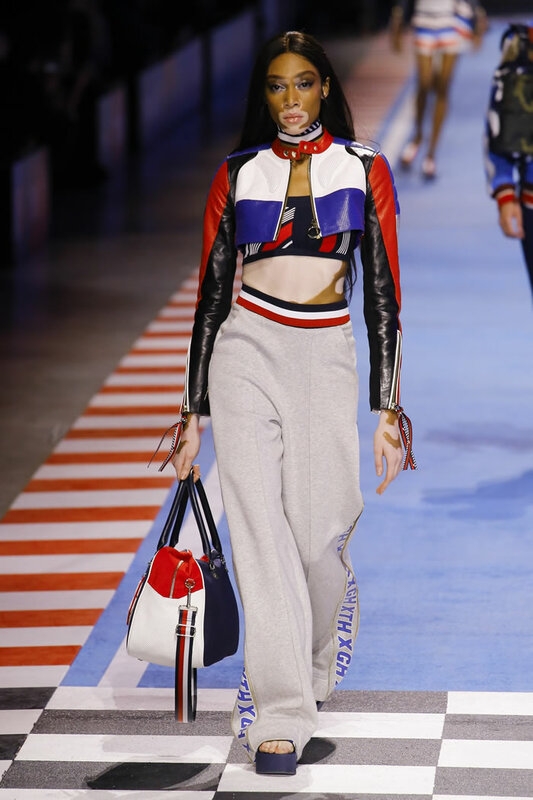 Beyond the racy stuff, there was bad-girl-gone-good collegiate gear like khakis, family crest T-shirts, and color-blocked versions of the rugbies that first got Hilfiger noticed all those years ago. Amidst the logoing, one T-shirt in particular stood out. A reproduction of Hilfiger’s breakout ad campaign of 1985, it said, “The four great American designers for men are:” above fill-in-the-blank spaces for Ralph Lauren, Perry Ellis, Calvin Klein, and Tommy Hilfiger, and in tiny font next to his trademark red, white, and blue flag, “This is the logo of the least well known of the four.” And in even tinier font, “Tommy’s clothes are easy-going without being too casual, classic without being predictable.